If you are suffering from diabetes, then your food choices matter so much. Eating the right foods for diabetes patients can help you keep the blood sugar on a balanced level. Including these power foods for diabetes in your daily dirt will assist you in meeting your own nutritional demands and decreasing the risk of diabetes complications like heart disease. This food list should not be the only document you follow, but incorporating it into your references will help you improve your well-being. 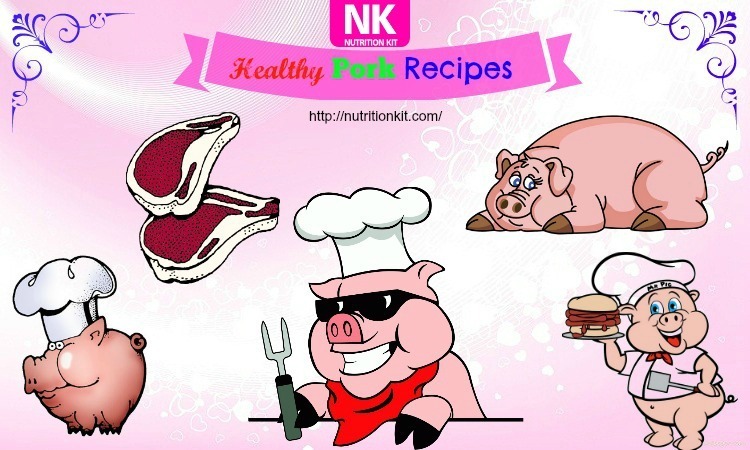 Check out on the section Foods For Health of the site Nutrition Kit site! Are you following a healthful meal plan which is filled with fresh fruits and vegetables, whole grains, lean protein? If yes, then congratulate! You are on the way to a healthy, long life and taking a big step in taking control of your blood sugar levels and your weight as well. 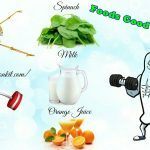 But, for those who are just taking baby-steps to better eating, this food list will be more helpful. 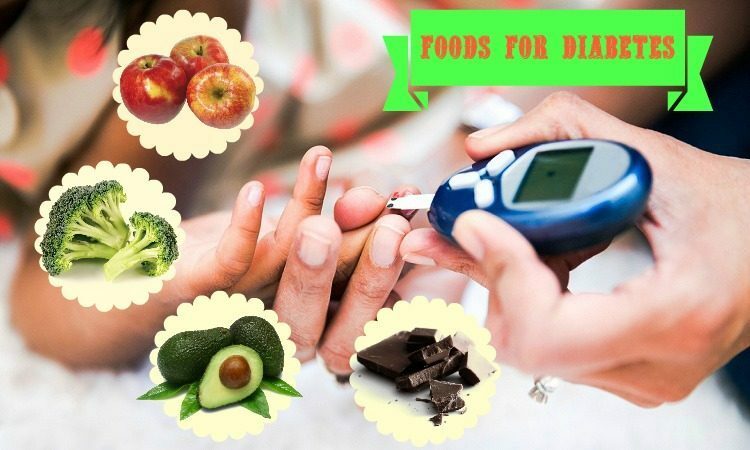 These are not only healthy foods for diabetes but also for the overall health. Apples are healthy for diabetics. According a study in 2012 at Ohio State University, eating even just a single apple each day for about 4 weeks could lower the bad cholesterol (LDL) by up to 40%. That is thanks to the antioxidants in apples. Lower LDL also means lower risk of heart disease. 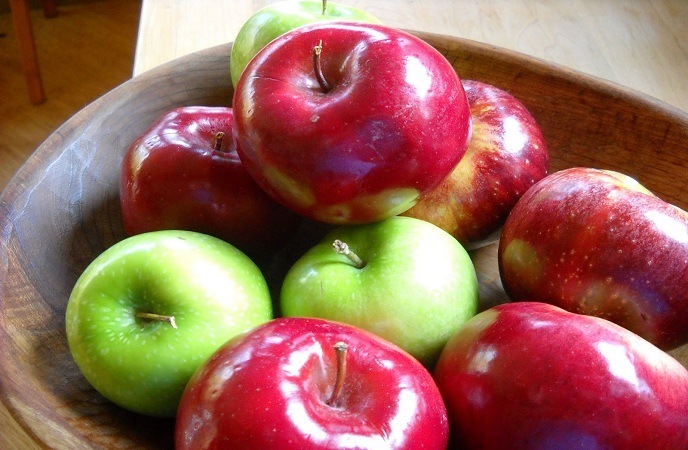 Apples, the crunchy fruit is considered one of the most disease-fighting antioxidants. When it comes to best foods for diabetes patients, avocado gets its fame thanks to the monounsaturated fat included. This creamy fruit can slow digestion and keep blood sugar level from increasing after having a meal. Also, following a diet high in good fats could help reverse the insulin resistance that translates to stable blood-sugar in the long term. You could make use of avocado for your diabetes by putting it in the mashed form on sandwiches. Asparagus is a favorite food of many people because of on its taste. However, you will even love this plant more if acknowledging that it is a healthy food for diabetes. Being high in glutathione, an antioxidant playing a key role in slowing the effects of aging as well as other diseases like heart diabetes, and cancer, asparagus should be added on your shopping list. 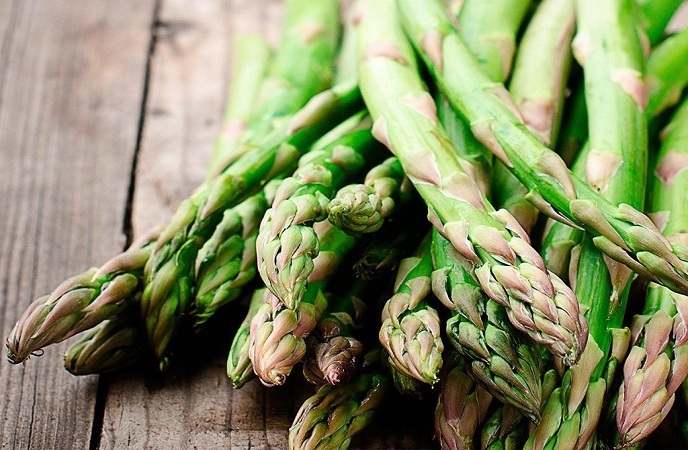 It is proven that eating asparagus will keep your blood sugar level stable and boost insulin production. Among foods for diabetes, barley is a popular option. This grain should be chosen, instead of white rice, to help decrease the increase in blood sugar level, especially after a meal. It is due to the soluble fiber along with other compounds in this grain can quickly slow the absorption of carbohydrate and digestion as well. Even, the effectiveness of brown rice for diabetics in compared with barley is not as equal. You could take advantage of barley for diabetes by adding them to soups, or simple serve it aside you dish. Chocolate is high in flavonoids. 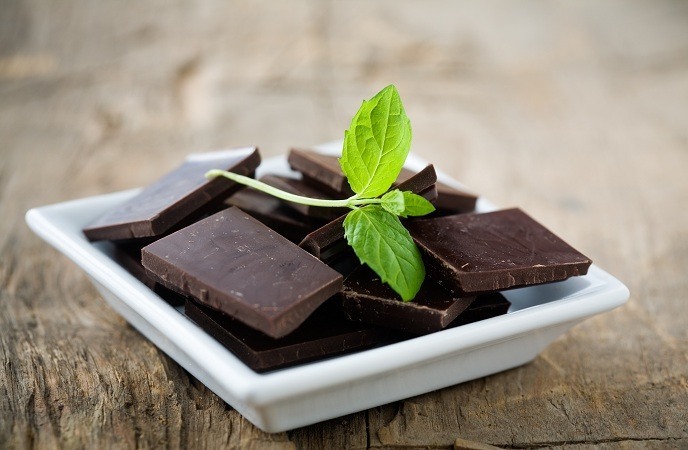 Research shows that the nutrients in chocolate can decrease insulin resistance, boost insulin sensitivity, and reduce insulin levels as well as fasting blood glucose. However, not every type of chocolate is the same. Dark chocolate in this case is the best choice for diabetics. The flavonoids in dark chocolate could lower the risk of stroke, calm blood pressure and decrease your risk for heart attack. Broccoli is similar to other cruciferous vegetables, such as cauliflower and kale, which contains sulforaphane, a compound triggering some anti-inflammatory processes to improve the blood sugar control and protect the blood vessels from cardiovascular damage – a consequence of diabetes. Thus, do not overlook broccoli if you want to find healthy foods for diabetes. 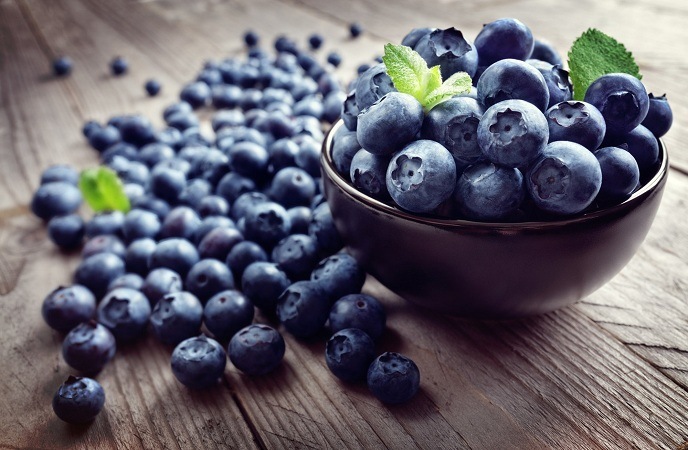 Not only do blueberries contain insoluble fiber, which can remove fat from our system, but they also have soluble fiber, which can slow down the process of emptying in your stomach and improve the blood sugar control. Researchers of a study made by the USDA claimed that the anthocyanins in berries can stimulate the release of adiponectin, which is a hormone regulating blood sugar levels, in addition to other things. By increasing adiponectin levels, your blood sugar will be lowered and the sensitivity to insulin will be increased. 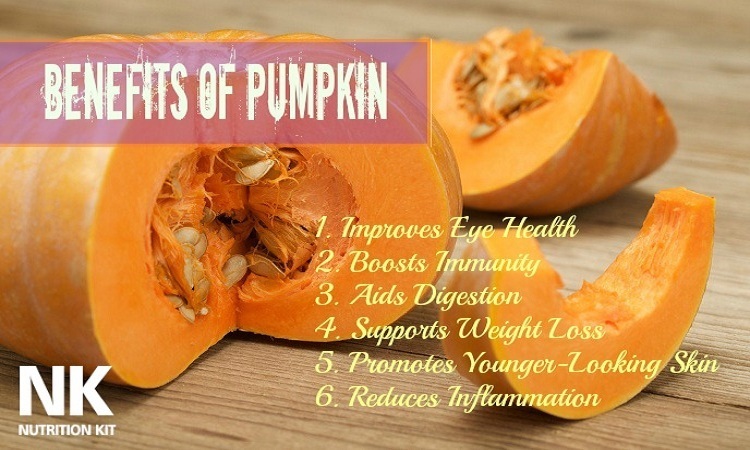 They are a magical fruit which is high in fiber and a rich source of protein. Furthermore, they are healthful for diabetics. Consuming about 1 cup of legumes every day will help control your blood sugar levels and lower the blood pressure. Some varieties of beans include navy beans, black beans, kidney beans, pinto beans, white beans and lima beans. You should use beans as your major protein source a few times a week, in theirs plain form or in soups. This plant is good for your wallet too because they are cheap to shop around. Another one out on the list of foods for diabetes that we would like to mention in the entire article today is carrot – a very well-known and common veggie in the world that you can use to add to several nutritious and tasty dishes! 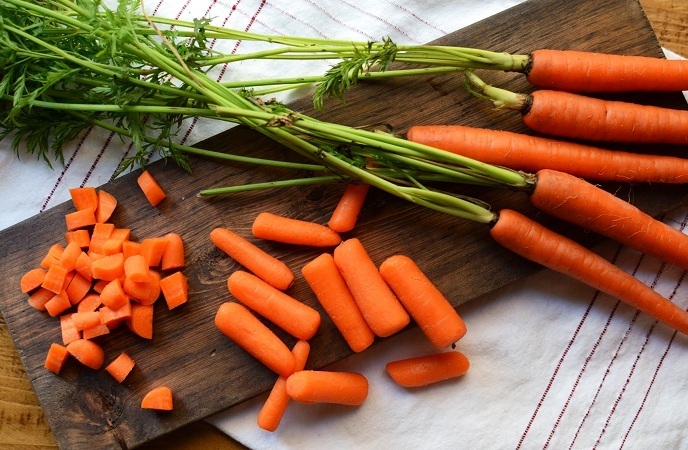 Raw or cooked, carrots are always healthy for your meal plan. Carrots are famous for their high content of vitamin A, made from the so-called beta-carotene. This vitamin is essential for immune function and good vision. Also, it might help to prevent the development of some types of cancers. Moreover, when it comes to diabetes, there are more reasons to consume carrots, especially if you are a diabetic. According to a study conducted by the Stanford University School of Medicine, the anti-oxidant beta-carotene in carrots might help lower the risk of type 2 diabetes among those people who have a family history of diabetes. Cranberries are not just for parties anymore. There are many good reasons to enjoy this beautiful fruit. Despite best known for the benefit of helping people prevent urinary tract infections, cranberries might be very beneficial for diabetics, thanks to their phytonutrients (anthocyanins is one of them). 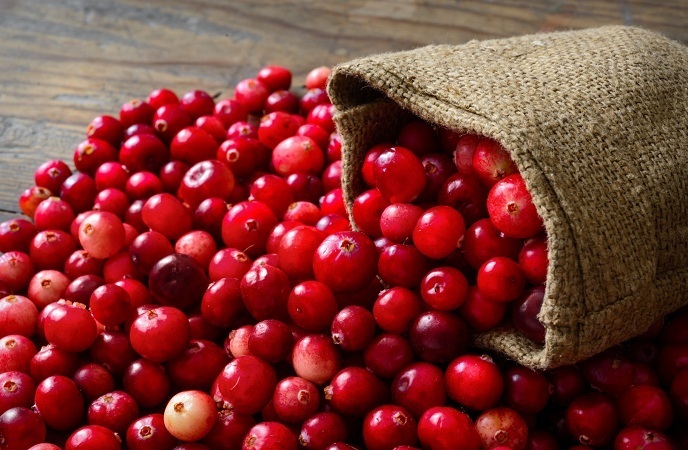 Also, the antioxidants in cranberries might decrease LDL (bad cholesterol), improving HDL (good cholesterol), lowering the blood pressure levels, thereby decreasing the risk of heart disease. In order to take the most benefits of this fruit, you should use fresh cranberries that consist of the highest levels of beneficial nutrients. 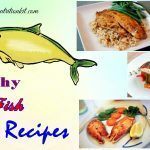 It is recommended to eat fish twice per week because fish is a good source of omega-3 fatty acids, especially fatty fish like mackerel, salmon, herring, sardines, lake trout, halibut, etc. 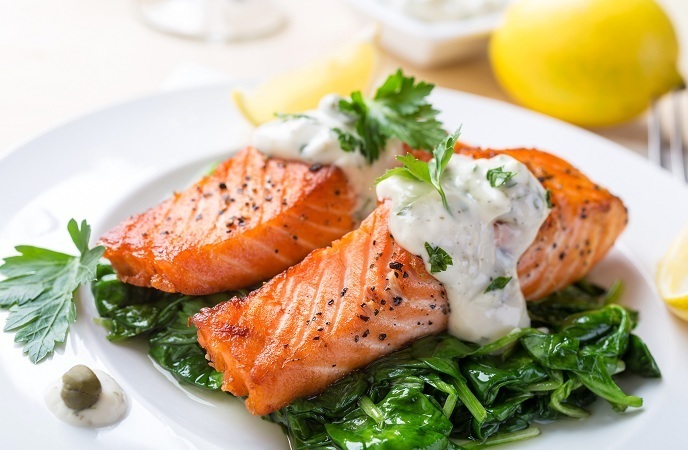 omega-3 fatty acids could lower blood pressure, conquer inflammation and slow the development of atherosclerotic plaque. Maybe, in your opinions, oatmeal is not a super food; it could help decrease the risk of type 2 diabetes. Containing high content of magnesium, helping the human body use glucose and secrete insulin appropriately, oatmeal is one of best foods for diabetes patients. 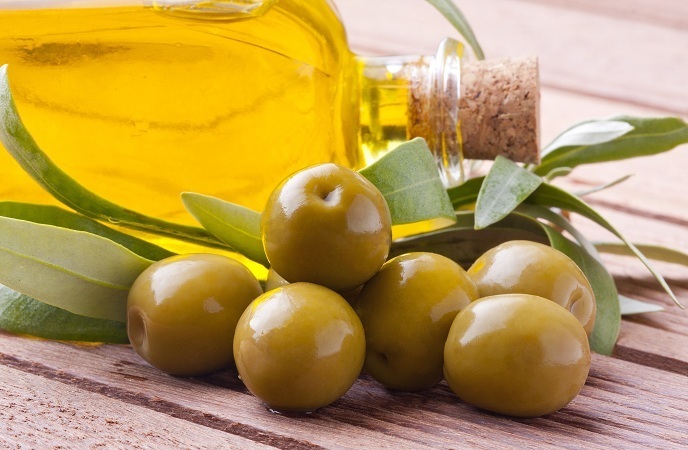 Some nutrition experts say that applying a Mediterranean-style diet which is high in olive oil could be beneficial for type 2 diabetes patients. It is because olive oil has health-improving monounsaturated fats and antioxidant nutrients which protect cells from being damaged and prevent the risk of heart disease as well as strokes. 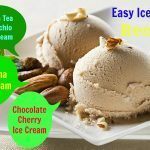 Among best foods for diabetes patients, this may surprise you but it is really a great choice if you are suffering from diabetes. The fiber included in psyllium husk is proved to help people suffering from diabetes control their blood sugar level better. However, it is recommended to wait at least 4 hours after consuming psyllium before taking any medication as psyllium may reduce their absorption. One of many green, leafy vegetables that can drop the chances of getting diabetes is spinach, and collards are an alternative. 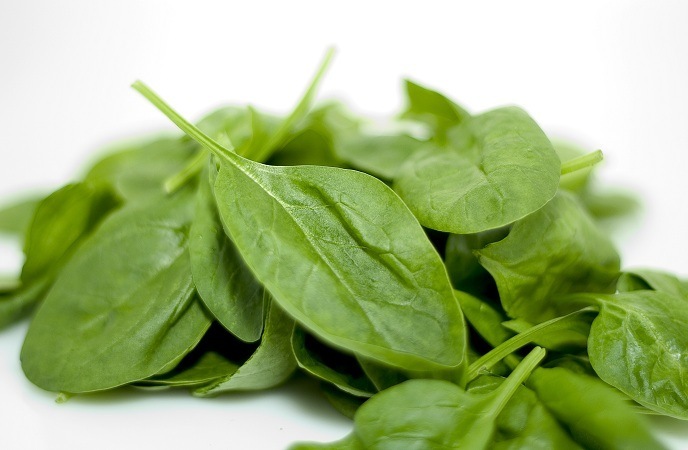 Those people who eat more than one serving of spinach per day can slash their risk by up to 14 % in compared with those who just consume ½ serving per day. 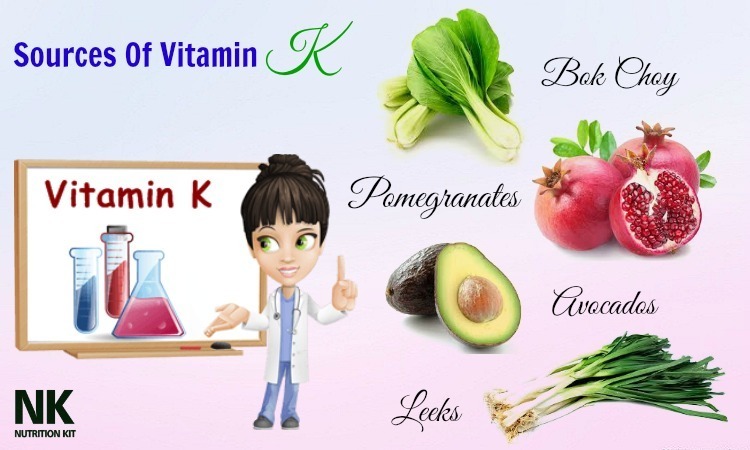 Furthermore, this plant is a good source of vitamin K, magnesium, phosphorus, folate, zinc and potassium. Also, it is a good source of lutein and zeaxanthin along with many flavonoids. This is also a wonderful member of the foods for diabetes family and you should never look down at all costs! Garlic has served as both flavoring agent in the kitchen and a medicine for thousands of years. Also, it is used to treat heart disease, high cholesterol, high blood pressure, and different types of cancers. Is it good for diabetes? Actually, garlic could slightly lower LDL – the bad cholesterol for just for short-term of use. Moreover, using garlic might slightly lower blood pressure levels, particularly in those with high blood pressure and diabetes. 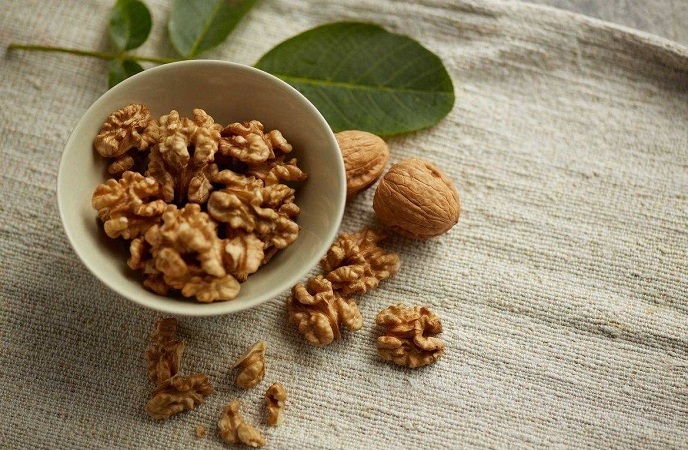 Walnut is the most widespread tree nut all around the world. It consists of the polyunsatuarated fatty acid named alpha-linolenic acid that has been proven to decrease inflammation. The omega-3s, vitamin E, L-arginine, and other phytochemicals found in these nuts make them beneficial. 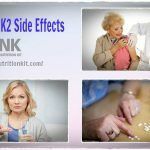 They have anti-cancer, antioxidant, anti-viral and anti-high cholesterol actions, thereby helping to stop and even reverse the progression of chronic conditions like heart disease and diabetes. In regard to best foods for diabetes, quinoa is rather similar to nuts and beans. Taste like a grain, quinoa is more related to spinach than to rice. In contrast to the majority of grains, quinoa is very high in “complete” protein and 9 essential amino acids. Among those amino acids, lysine is powerful to help the human body absorb fat-burning calcium and aid in producing carnitine, the nutrient responsible for converting those fatty acids into good energy and lowering cholesterol. 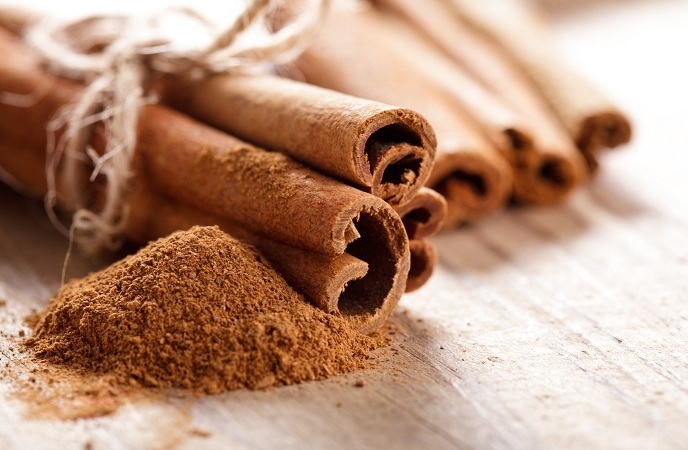 Studies show that cinnamon is effective in reducing blood sugar level. This tasty spice if taken 1gram or more every day can help people drop their blood sugar by about 30%, in compared with their counterparts. Additionally, they reduce LDL cholesterol, triglycerides, and total cholesterol by 25%. 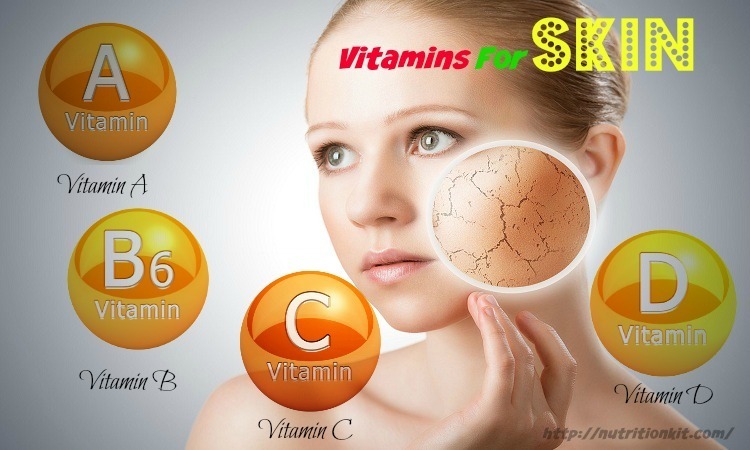 The reason is because of chromium content, the mineral enhancing insulin’s effects. Moreover, cinnamon is jam packed with polyphenols, the antioxidants gathering all free radicals within the blood to protect people from cancers, lower inflammation and prevent the risk of heart disease and diabetes. Turmeric is famous in India for their medicinal properties. A traditional diet of India features white rice along with flour breads that may ordinarily increase blood sugar level. 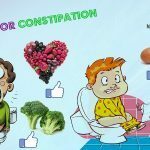 However, in this diet, there is also turmeric – the beautifully yellow spice lending its own color to a lot of curry dishes, helping to take control of the impact of blood sugar level. The main ingredient in turmeric, curcumin is believed to reverse insulin resistance, high cholesterol, high blood sugar as well as other symptoms associated with obesity. II. 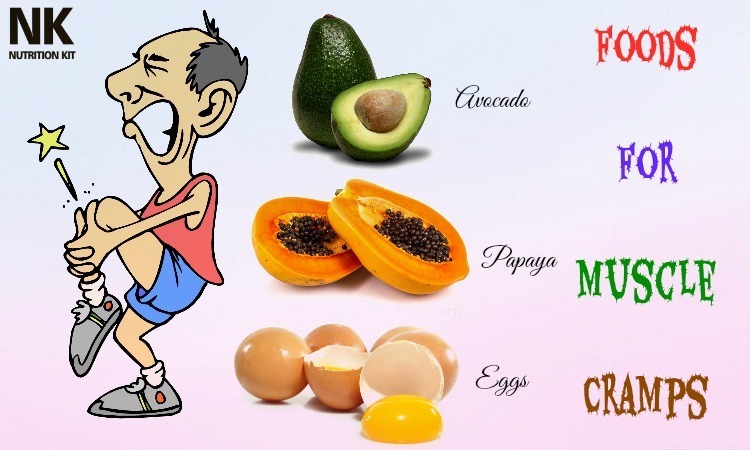 15 Worst Foods For Diabetes – The Wrong Foods That You Should Avoid! Generally, less is more in regard to sodium for diabetes. It is said that too much sodium is associated with high cholesterol, high blood pressure, and heart disease. However, it is still a controversial topic as how much the so-called “less” is still unclear. It is recommended that adults should consume less than 2,300 milligrams of salt per day. For those with diabetes, do not consume more than 1,500 milligrams per day. 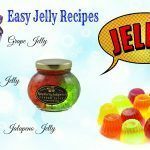 Another bad choice among foods for diabetes is those jams, jellies, preserves, and fruit juices because they are full of carbs, sugars, and calories without too much nutrients. Moreover, fiber is negligible, so the carbs will rapidly rocket blood sugar levels. 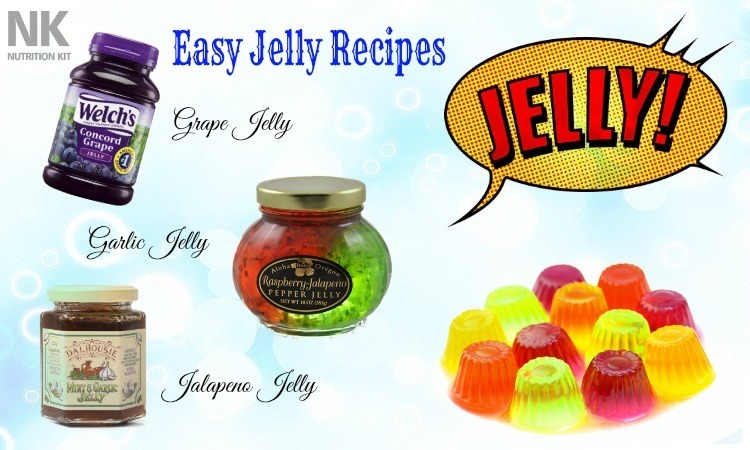 Pure fruit juice is a better choice in compared with commercial juices. And, do not forget to consume enough water and jazz it up with a slice of lemon. Just a plate of pancakes with syrup can explode your carb intake. Thus, it is one of the worst foods for diabetes patients. Most pancakes are made in large size and have junky white flour as an ingredient, so taking a stack of just three large flapjacks could be similar to consuming seven white bread slices. The toppings of this dish make this matter worse because butter is full of saturated fat while syrup adds straight sugar to your breakfast. This will trigger your blood sugar level by boosting them into a tailspin. Thus, the next time you have breakfast, skip pancakes and replace it with a protein-rich, low-carb egg white omelet stuffed with veggies. 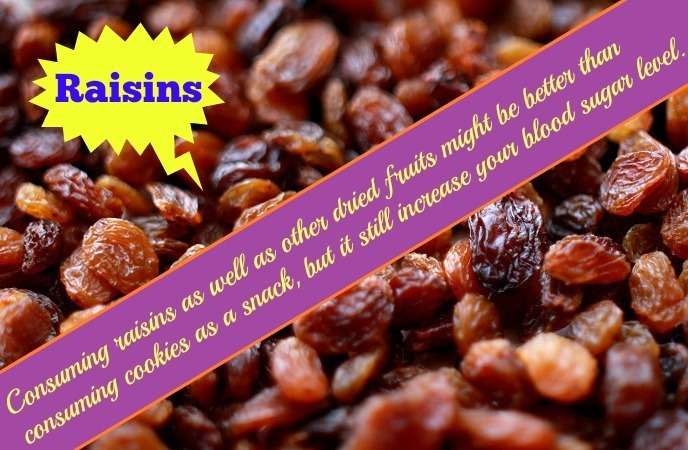 Consuming raisins as well as other dried fruits might be better than consuming cookies as a snack, but it still increase your blood sugar level. During the process of dehydration, the natural sugars of fruits will become extremely concentrated, leading to an unhealthy increase of blood sugar when they are quickly absorbed by the human body. Thus, you should control you raisin intake of just 2 tablespoons and go for whole fruits which are high in fiber and other beneficial vitamins and minerals. Therefore, it is another reason to choose fresh fruits over dried ones. This is also among the worst foods for diabetes that we would like to introduce in the entire article today and want people to avoid at all costs for good! This sounds safe when it comes to managing your weight and diabetes, but actually it totally depends on how you prepare the dish and what the sides are. A breaded-fish meal with the sides like hush puppies, friends, coleslaw should be avoided if you are suffering from diabetes. This dish may increase the recommended carbs and sodium every day for those people with diabetes. And of course, this is not your choice, right? 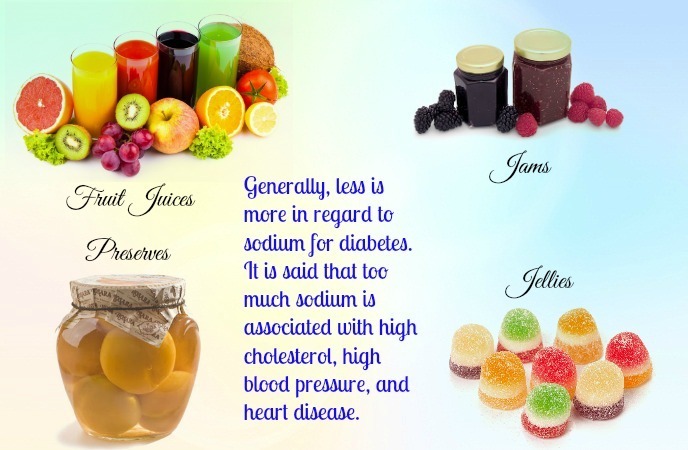 Those with diabetes need to follow a low-fat diet which is also low in sodium. Processed meats consist of a high content of sodium and fat, which could rocket the risk of heart stroke as well as stroke. Diabetics should not take too much fat. So, those dairy products which are not low-fat, like regular cottage cheese, ice cream, whole milk and sour cream should be avoided when it comes to worst foods for diabetes and you should avoid at all costs! 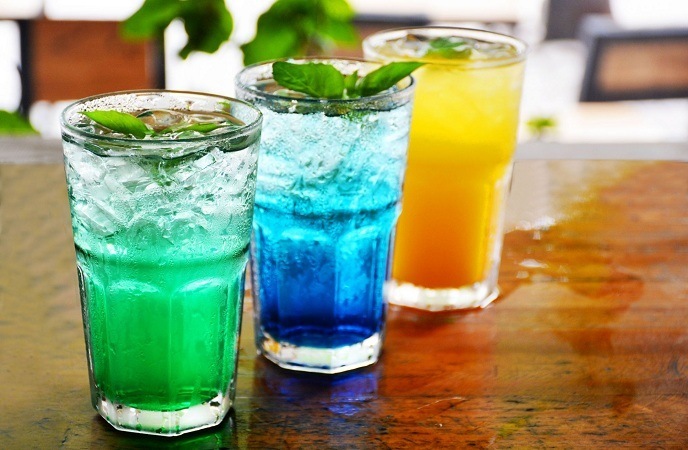 According to Harvard School of Public Health, those people who drink sugary beverages regularly (from 1 to 2 cans per day or more) are exposed to a higher risk of developing type 2 diabetes of 26% than those who rarely consume such drinks. The sugar content and empty calories in these drinks could have a significant adverse influence on glucose levels and weight management. Just one cup of coffee with light milk can give your blood sugar level a boost. A specialty coffee with sugar syrup, flavorings, and whipped cream is a completely different beverage in compared with the normal one. On the other hand, the majority of energy drinks are full of caffeine and sugar. As a result, this raises both heart rate and blood pressure. If your blood sugar level is high, then you are already exposed to a higher risk of developing heart disease and stroke; and do not have to get more risk from energy drinks. White bread is also on the list of the worst foods for diabetes that people should stay far away from at all costs! Do not choose white bread for your breakfast if you are having diabetes, instead choose whole grain one because it is high in fiber, letting blood sugar rise more slowly. 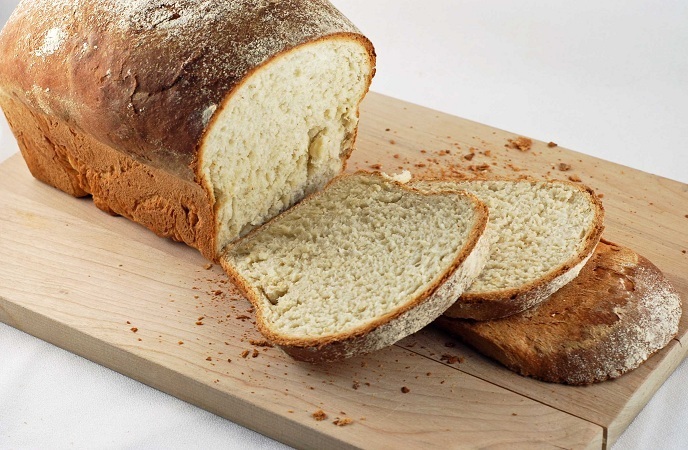 With the refined carbs content and having not much nutrients, white bread causes a quicker blood sugar spike. 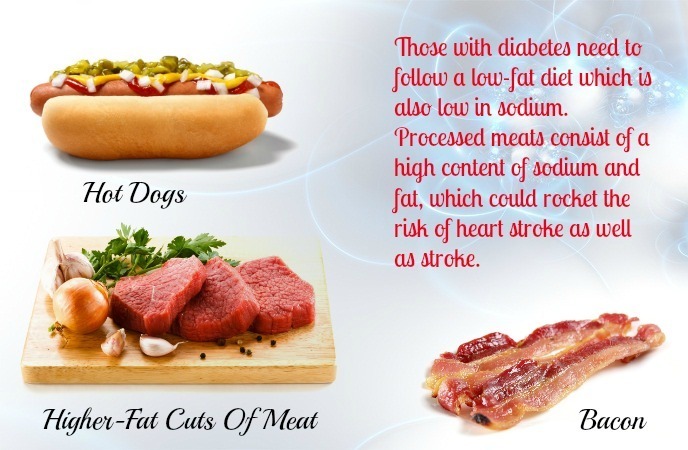 Another food that diabetics should stay away from is fatty meat. The only type of meat should be eaten by diabetics is lean meat. It is because fatty meats such as well-marbled steaks and burgers have a lot of bad cholesterol that could enhance the risk of heart disease and stroke. Research reports that those people consuming white rice on their daily meals are at 27% higher risk of developing diabetes in compared to those who just consume whole grain products. 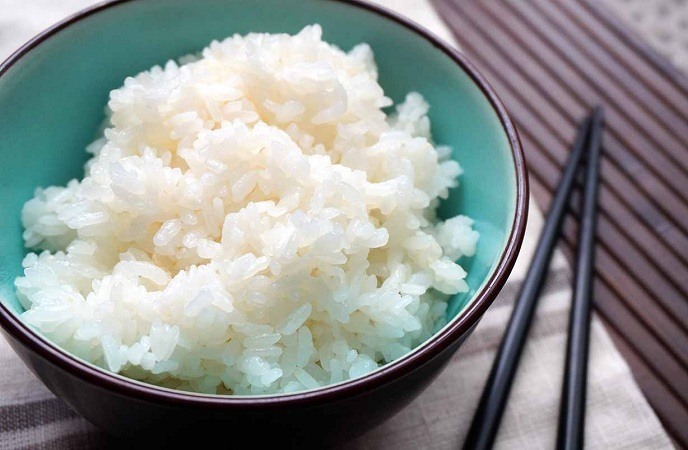 Because of the content of low-quality carbs and having not enough fiber, white rice seems to be easily digested, thereby shooting up the blood sugar level. Therefore, you had better choose whole grains such as oatmeal, barley and high fiber cereals. And if possible, stay away from white rice and stick to brown rice because it has a lot of health benefits, particularly for diabetics. Eating potatoes in daily meals could be harmful for those with diabetes. 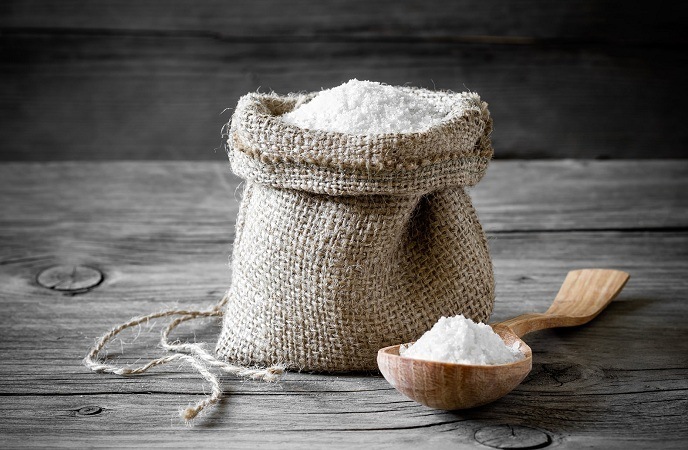 The reason is that the starch in this plant is made of long strings of sugar that may break down quickly within the intestine and are absorbed in our blood stream causing a sudden increase in blood sugar levels. Nonetheless, it is not necessary for give it up entirely. You just need to consume potatoes in moderation and mix them with leafy green to help slow down its digestion. In brief, this is one of the worst foods for diabetes that we would like to show readers in this article and people should stay far away for good! 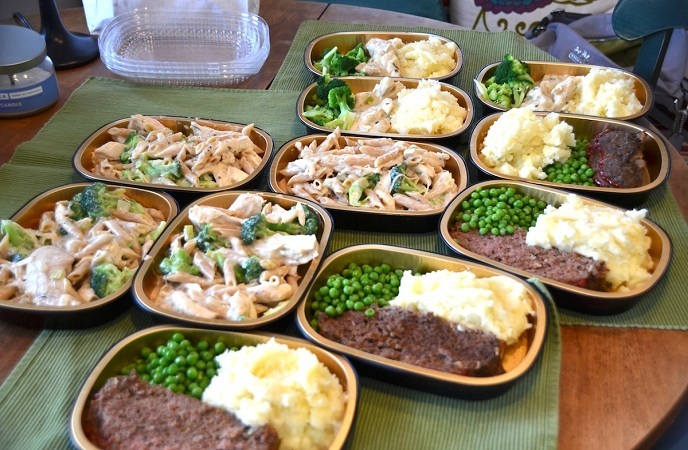 These days, in our busy world, frozen meals are common and seem like a present from the heavens above. Nevertheless, you should not mistake a fast frozen meal with a healthy one. As frozen meals are full of fat and sodium, they are absolutely not a healthy choice for your family, particularly those with diabetes. But on the brighter side, the industry of frozen food has changed somewhat that many manufacturers produce healthier meals. According to ADA, the worst choices of frozen meals are Hungry Man Frozen Meals, Stouffer’s Cheese Ravioli, and Marie Callendar’s Fettucine Alfredo with Chicken and Broccoli. The healthier choices are Smart Ones, Amy’s Low in Sodium and Lean Cuisine. This is a popular choice for breakfast, and it is also the very last one among the worst foods for diabetes that we would like to reveal in the entire article today. 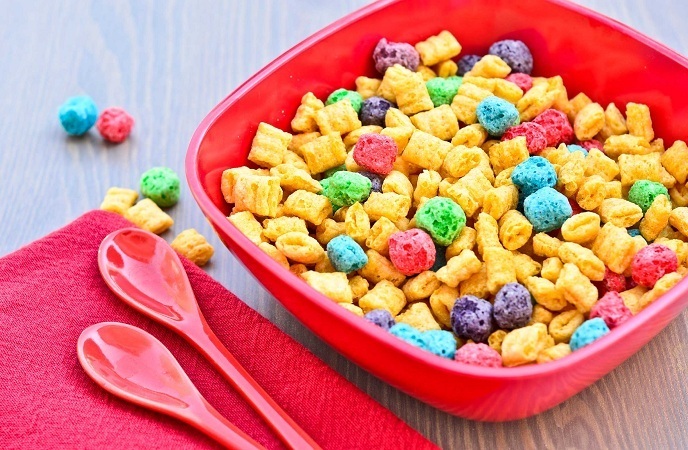 Being a processed food, sugary cereals have a high content of sugar. In addition, they do not have much dietary fiber which can slow down the digestion, helping control blood sugar level effectively. A high-fiber diet plan is a must for those with diabetes. Even though is it is a kind of carbohydrate, fiber is not broken down by our body, and does not have calories. According to a study conducted by research of New England Journal of Medicine, those people who consumed 50 grams of fiber per day could control their blood sugar better than those who consumed less or did not consume. Thus, you could add fiber to your diet by adding fruits, whole grain products, veggies and legumes into your menu. Do not remove the skin of veggies and fruits because it is rich in fiber. In regard to cereals, you should purchase that supply at least 5gr of fiber each serving and avoid the products containing significant amounts of sugar. To sum up, foods play a crucial in our well-being, particularly for those with diabetes. Acknowledging best and worst foods for diabetes patients is a smart step in the process of conquering your disease. After reading this article about “Best and worst foods for diabetes”, I hope that you can plan a healthy diet for your diabetes and keep your blood glucose under control without using medicines. If you have any question to ask, feel free to let me know by leaving your comment below!